The Treasures Gallery of the National Library of Australia is just that: a bountiful and seductive trove of the nation’s most intriguing, compelling and surprising stories. From Australia’s first Olympic gold medal for women’s swimming to a rare and precious map from 1663 that formed the template for all maps of ‘New Holland’, or Australia, until Cook, the Treasures Gallery is devoted to spotlighting extraordinary and moving Australian moments and stories. * Poems by Patrick White, the art journals of John Olsen and even a rather mysterious looking lantern belonging to bushranger Captain Moonlite are among the fascinating and often unexpected objects in the collection that is a must-see for any visitor to Canberra. Some of the stories are unusual, some are tragic and others are uplifting. All offer a remarkable insight into what it means to be Australian. Discover it for yourself. One of Australia’s best-loved bush poets and short story writers, Henry Lawson chronicled the ups and downs of Australian life from the beauty of the outback to the hardship of the 1890s depression. 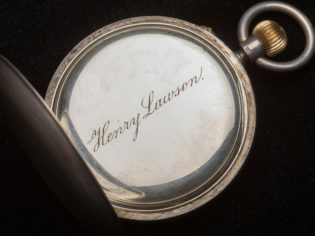 The Treasures Gallery currently features a captivating collection of objects from his life and work, including a silver fob watch he purchased in 1896 using a payment from Angus and Robertson for the publication of his first book and an unusual and much-loved pen he used to create his prose and poetry. 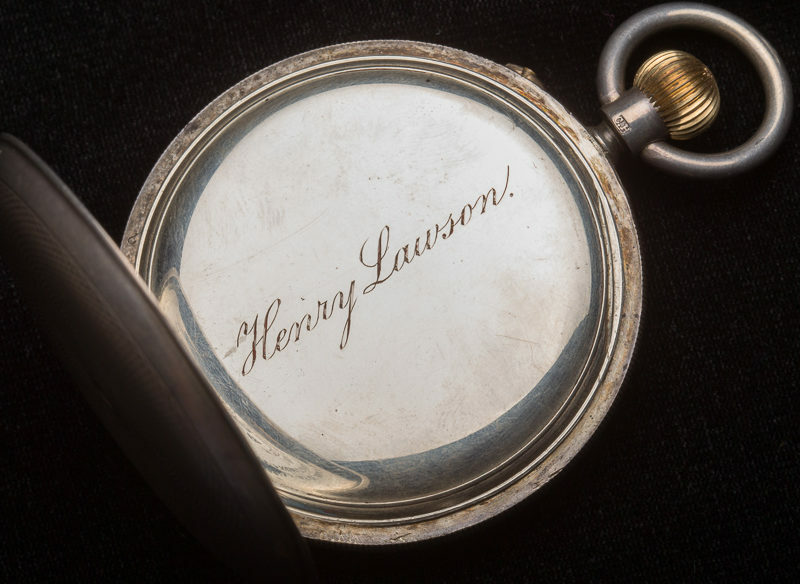 The pen is actually the end of a pencil in which a steel nib has been inserted and attached with a piece of string, and the watch was owned by a number of people after Lawson’s death, including his former romantic partner, the poet Mary Gilmore. When Fanny Durack became the first Australian woman to win an Olympic gold medal, the reaction was euphoric among women – and men – across Australia. Durack broke the women’s 100m freestyle world record at the 1912 Olympic Games in Stockholm, swimming 100m in 1 minute and 19.4 seconds, but she had also broken considerable barriers to simply participate. The New South Wales Ladies Swimming Association initially was opposed to women including Durack and fellow Sydneysider Wilhelminia ‘Mina’ Wylie participating in the Stockholm games, but they were eventually allowed to go providing they covered their own expenses. The result of Durack’s heroic efforts – one of the last Olympic medals made purely of gold – is on display in the Treasures Gallery as testament to Durack’s pioneering achievement. They say good things come in small packages, and this is certainly true of the joy of discovering the tiny wonders of the Miniature Book Collection at the Treasures Gallery. The National Library holds a significant collection of miniature books, the height of which is generally no greater than 10 centimetres, with a set of Beatrix Potter Peter Rabbit books, a mini edition of Norman Lindsay’s The Magic Pudding, and The Illustrated Pocket Shakespeare among those in the gallery’s collection. With a history spanning 4,000 years from Ancient Mesopotamia, miniature books are still popular with readers today, although their aesthetic charms profoundly trump their readability. This stark sentence is at the heart of the 25-page letter by journalist Keith Murdoch to his friend Prime Minister Andrew Fisher that consecrated Gallipoli as an international catastrophe and a place of national sacrifice. Murdoch’s brutally honest and emotive reportage contributed to the end of the Gallipoli campaign and to the removal of its British commander, General Sir Ian Hamilton. In the pages of this historic document in the Treasures Gallery, Murdoch describes the horror and tragedy of the landing at Sula Bay on 6 August 1915, a disastrous attempt by the British High Command to break through the Turkish and German lines on the Gallipoli peninsula. The gifted German composer and pianist Ludwig van Beethoven died in a thunderstorm in 1827 at the age of 56, but not before a Viennese sculptor took his mask over a decade earlier in 1812. Even then the musician was troubled with illness and personal strife, and when Viennese sculptor Franz Klein attempted to administer the plaster mask, Beethoven, anxious about suffocating in the wet substance, flung the original cast to the floor. Countless artists have since used the reassembled and much-copied mask to model the composer’s intense expression, and the copy in the collection of the National Library was the model for Parisian painter Michel Katzaroff’s 36 scenes in the life of Beethoven. The Treasures Gallery is free to visit, and open daily year round except Good Friday and Christmas Day. The collection is regularly refreshed with new selections from the most precious items from the National Library’s vast collection, and the latest changeover features over 100 new objects. Enjoy free guided tours daily at 11.30am to learn more about the most significant objects and stories. *Please note: the Treasures Gallery is refreshed every six months and objects on display may change.